Education is very important for the development of human resources. In general, limited infrastructure for education in Raja Ampat is significantly similar with other part of Papua. This poor infrastructure for education causing educational programs recommended by the government runs less than optimal. Success in education is largely determined by the availability of facilities and infrastructure. Physical facilities of the school buildings are available in almost all the districts ranging from elementary school (SD) up to Junior High School (JSS), while the upper secondary education (high school) only in Waisai (South Waigeo), Waigama (Misool), and Fafanlap (South East Misool). Due to of this condition, many children should go to Sorong when they are in school junior and senior high schools. Halong Bay in Vietnam is already established as one of the New7Wonders. But that does not mean Wayag in Raja Ampat can not be its competitor. In terms of natural beauty, Wayag, the gorgeous islands in eastern Indonesia has become rival of Halong Bay. Come to discover the thrill of Raja Ampat and beautiful life there. Clusters in the Raja Ampat islands provide inspiration for everyone who visits. How much more when you come to Wayag. Travel to Wayag takes about 6 hours drive from Waisai. Up in Wayag, a traveler is obliged to stop by the post to report and show PIN that has been bought in Waisai or Sorong. If you are lucky .. the weather is friendly, and the sea breeze is not so great. The sea than will be so calm and clear like glass table. It is very nice to see the sky is mirrored to sea. Clusters and islands are so beautiful clouds reflected in the crystal clear sea. Since we left Waisai, the view of the sea is blue, skies and a tiny little island that arise from the surface of the water looks like emerald green, green tree growing island … .. really very spectacular view. Raja Ampat Doberai Eco Resort prioritizes diving activity as one of the activities that our guests could do in our private Urai island. Hence, Raja Ampat Doberai Eco Resort ensures that all of the diving equipment, speed boat, safety first tool kits, and standard Operating Procedure are all applied and in a good shape or condition. 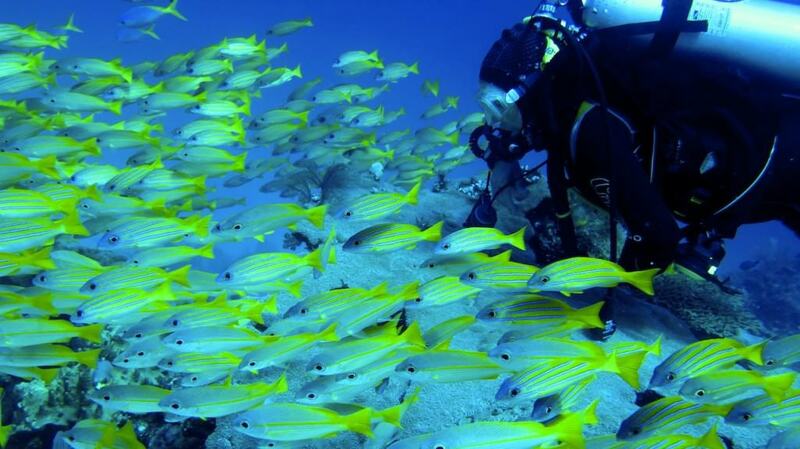 By doing that, Raja Ampat Doberai Eco Resort would be able to give assurance to our guests that they are in the right hand to do their scuba diving activities. Raja Ampat region is a region that is very unique with a series of islands large and small, which greatly affects both the state of the language and its speakers as well as the cultural and social system that is embraced by the people in this region. In addition, this region is a border region between groups of languages ​​and cultures in the west, namely the language and culture in the Moluccas and groups of languages ​​and cultures in Papua. 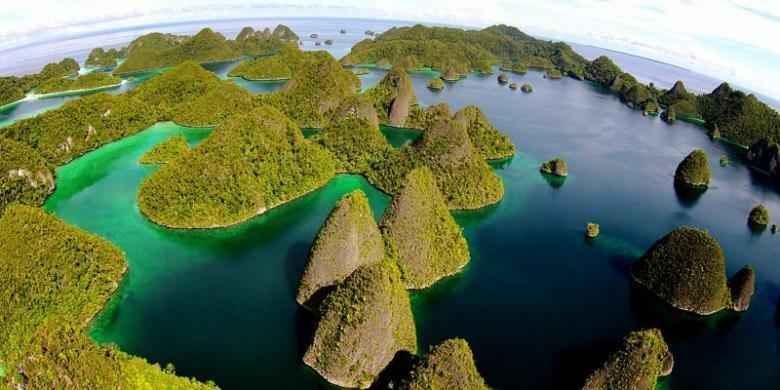 With the geographical conditions, which is an archipelago and the most western part of the chain of islands of New Guinea, Raja Ampat Islands into areas that in terms of anthropologic and linguistic is an area that gets the title of diversity (an area of ​​diversity). This diversity is very precise term used to describe the situation of culture and language is a blend of cultures and native languages ​​of Raja Ampat with cultural and language brought by immigrants, both from other regions of Papua and outside Papua. This mix of cultures and languages ​​has happened since centuries ago. In eastern part of Indonesia, particularly in the area of ​​Raja Ampat, the world recognizes or knows Raja Ampat archipelago for its uniqueness and magnificent view above and underwater, but do not know what is the staple food of the community, before rice was introduced by the government for the last 40 years. In eastern part of Indonesia, they are; Sulawesi, Ambon, and Papua, including Raja Ampat, their staple food before was sago. In Raja Ampat itself, accordingly the first tribe was first made sago as a staple food in the region is Matbat. Since there used to be a tribe of “tribal Matbat” who first inhabited the islands of Misool area. The tribe originally lived in the middle of the forest so that they make sago as their staple food. Raja Ampat Doberai Eco Resort provides itinerary to allow guests enjoying the beauty of birds of paradise. In order to do so, guests should wake up at 4.30 am, and ride 5 minutes boat to reach the beach. From there, we would to continue for trekking for around 30 minutes in the dense forest of Yembesser island. When we reach the place, we should hide under a para-para, and remain quiet, until the birds come and play. Raja Ampat Doberai Eco Resort also provides many other itineraries for the guests to enjoy the beauty of Raja Ampat archipelago comprehensively. It is reasonable if Cendrawasih bird is touted as the bird of paradise. Why not, bird that becomes mascot of Papua is indeed a beauty with a beautiful coat color. Due to their elegance color, Cendrawasih bird known as bird of paradise. In fact, reportedly because of they are too beautiful, this kind of birds rarely go down to the ground, they just fly in the air and landed on a tree branch. Global warming is giving a serious threat to the small islands in Indonesia. The most feared impact of global warming is sinking small islands in Indonesia. In fact, Indonesia with more than 13,000 islands, most of which are small islands. Global warming is increasing the average temperature of the atmosphere, the earth, and the sea. This warming caused by increased concentrations of greenhouse gases due to human activities such as burning fossil fuels and deforestation. One of the effects of global warming is the melting of permafrost in polar. The melting of polar ice lead to rising sea levels. Sea level is higher can drown small islands in Indonesia. The native people of Raja Ampat is composed of many indigenous tribes. The indigenous tribes there who inhabit the region and the Raja Ampat archipelago since hundreds years ago, migrated from other islands in the region around Raja Ampat. 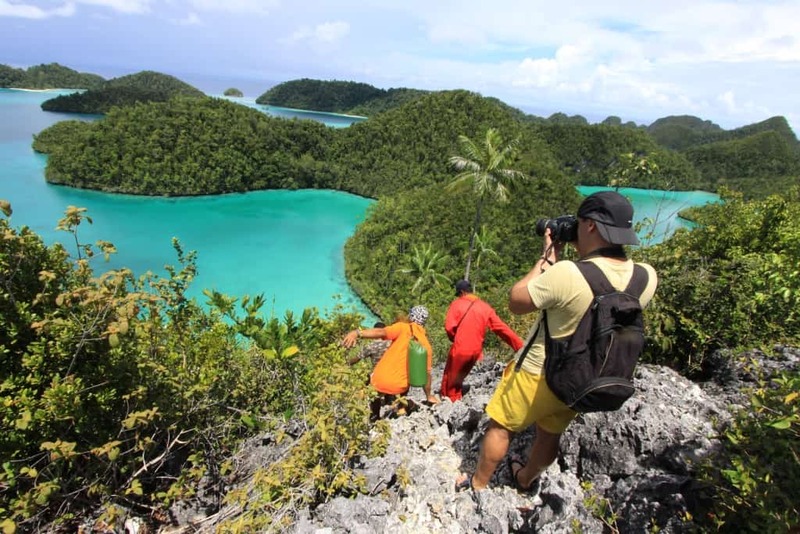 In the book Profile Hobbies Travel Raja Ampat, West Papua, a book published by the Department of Culture and Tourism of Raja Ampat, given that there are at least 12 indigenous tribes who currently inhabit the islands of Raja Ampat. Like the lyrics of a song written by Frankie Sahilatua (deceased) entitled “I’m Papua” that is often sung by the artist from Papua Edo Kondologit, characteristic of Native Raja Ampat islands are like our brothers who came from Papua is black and curly hair. “I wanna stay for one or two night in Raja Ampat and I wanna see Wayag, Phonemo, Hidden Bay, Kaliraja…….”. That’s the most common statement or questions from guests who came to Raja Ampat, without getting sufficient info or perception of Raja Ampat. 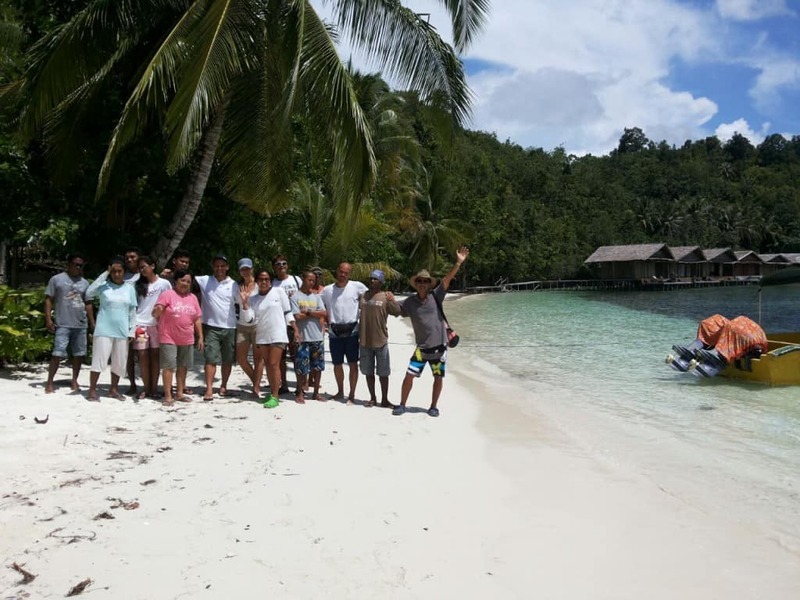 Raja Ampat Doberai Eco Resort experiences almost every month receiving those kind of guests who come to Raja Ampat without doing any sufficient research even from internet. For me as local it is ironic, since most of those typical guests are local tourists. Before coming to Raja Ampat most of the guests thought that Raja Ampat is just like Bali, where they can easily go everywhere by riding taxi, or simply renting a car or motorcycle or even by just bicycling.